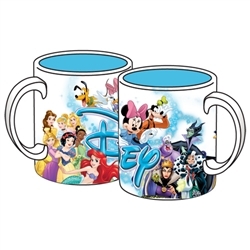 Enjoy a hot or cold drink in this fun and lively ceramic mug featuring Disney characters like Mickey Mouse, Winnie the Pooh, Disney Princesses, Disney Villains and many more. 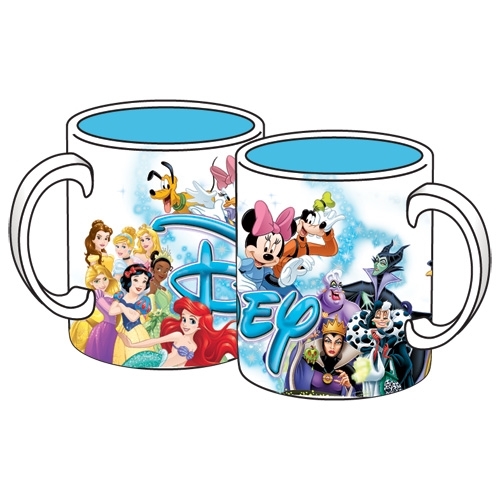 Great mug to keep for yourself or give as a gift. Dishwasher safe for easy care.